Below you can view all the homes for sale in the Oak Hampton subdivision located in Murrells Inlet South Carolina. 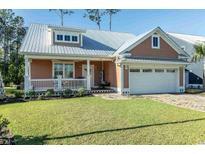 Listings in Oak Hampton are updated daily from data we receive from the Myrtle Beach multiple listing service. To learn more about any of these homes or to receive custom notifications when a new property is listed for sale in Oak Hampton, give us a call at 843-695-7716. Oak Hampton is tucked away off of route 707 in the Murrells Inlet area and is close to the infamous Marsh Walk in addition to just being a short drive from the beach. Book your showing today! MLS#1907751. Square footage is approximate and not guaranteed. Buyer is responsible for verification. MLS#1907276. (Photos are of previously built home) MLS#1902671. This won’t last long…come see for yourself! MLS#1900535. 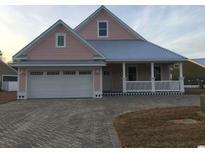 Check out 266 Waties Drive in Murrells Inlet today! 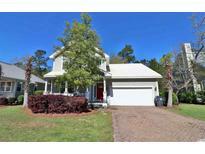 MLS#1824014. Stainless appliances (including refrig), brick paver driveway and walkways, fully landscaped lawn with irrigation. Schedule your appointment today! ! MLS#1814414. (Photos are of previously built home) MLS#1810031. (Photos are of previously built home) MLS#1810036.